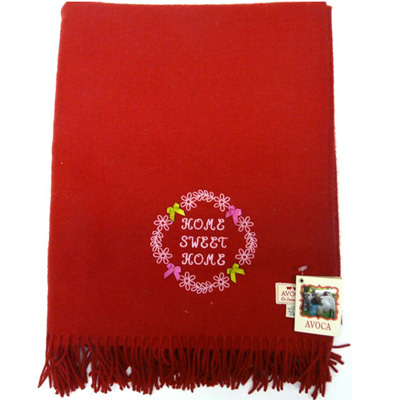 Avoca pure wool rug – Sweet Home Red  - £81.95 : Traditional Irish Gifts - Irish Gift Shop - Guinness merchandise, Bushmills merchandise, Aran and Avoca., The best Irish giftware shop on planet earth! A luxury mohair rug. Available in size 54" x 72".